FOR YOUR VETERINARY HOSPITAL TO CARE FOR ITS CLIENTS. Quality, clarity, attention to detail, ease-of-use, and prompt service are at the core of everything we do for the veterinary industry. If you run your hospital on a computer, then you need us. pute.us IT service gives you peace-of-mind when it comes to running your hospital. We’re only a phone call away if you ever need us and you can worry about being a veterinarian instead of a computer genius. You keep your hospital clean from bugs and contagions, we do the same for your computers and networks. Our advanced system looks at everything that enters your hospital digitally and blocks anything trying to attack your system or get sensitive information. Keep your records and other hospital materials safe from natural disasters and catastrophes with our online backup system designed just for veterinarians. We set up a system in your hospital that stores your data and then sends it to several off-site locations for safe keeping. Keep an eye on your facility, even when you aren’t there. With pute.us security camera system, you can view your entire hospital right from your computer or smart phone. Contact us to find out how we can save your business money by utilizing our printer program. We can increase staff efficiency and eliminate the hardships that come along with a malfunctioning printer. Check on your current and past support tickets, remotely access your workstation or get remote support. Click on the option you want below. I was first introduced to Pute through Julie Stewart, who is a common colleague of me and Mike. Julie had only suggested that we get started with their printer program to save us money and I had no idea what else they offered. When we set up our first meeting together, both Mike and Jason made the trip from Tampa to Port Orange, which was a 3 hour drive! I was not expecting that and that showed me that they went above and beyond for their clients. Jason and Mike were very patient with me explaining the issues we had with our practice management software and our network in general. They never once treated me like I was a dumb, non-IT person; they were up front with the issues we had and gave our practice the options of making it better! No other IT company or person was ever up front with us and telling us what the problem really was, but THEY did. Every person that works at Pute that I have dealt with has been professional and understanding! They are always so helpful in explaining step-by-step what to do over the phone since they do a lot of remote work. Beth and Jessica have been awesome too and they laugh with me every time I call because I feel like I call Pute all of the time! They are an amazing company and I will recommend them to anyone in the veterinary field! Thank you for EVERYTHING you do for us daily!!! Having worked in a few different veterinary facilities in the Tampa Bay area, I have to say that working with Pute as a computer and Cornerstone support system has been such a breath of fresh air. I am not the most computer savvy individual, but no matter what time I have called or what issue needs to be addressed they are always on top of it and so extremely patient with my inquiries or concerns and their turnover time for fixing any bugs is impeccable. I highly recommend this company! I am most appreciative of the exceptional service, you, and everyone else at Pute provides consistently! It is VERY difficult to find an organization with this level of dedication, commitment and integrity, and most of all, willing to assist with anything we ask for. You guys always go above and beyond! My requests often fall outside of the usual network/hardware issues. The gift of your talent, skills and expertise knowledge, is comforting, and we know we may rely on you for some of the distressing Cornerstone stuff, especially when we can’t rely on Idexx. I am very happy to be doing business with the Pute team! Our company has used Pute for years. On the rare occasion that we experience technical difficulty, the issue is resolved before we know it. They are always available and they even walk us through problem solving steps over the phone. All of their technicians are courteous, knowledgeable, and very professional. I love working with Pute. They are always helpful and I kind when i need help. We have loved Pute from the beginning. We too had a less than ideal situation with our IT group previous to Pute so we can relate to that frustration. We found Pute and made the switch at a point of desperation and never looked back! We have an onsite server that they manage and it works well for us. We don’t have any issues with down time and the very few times we’ve had storm-related complications, Pute has been quick to respond to our needs. This is extremely valuable to me because I am typically the person putting out these kinds of fires. I know most of their technicians very well (since we chat so much) and often get to meet with/speak to their managers when they are in town. They are the type of people that like to just “check in” and make sure things are going well for us. We have recently discussed adding more technology/hardware to our practice and they are very thorough when it comes to explaining pros and cons from start to finish. Most importantly to us, they explain how things can work best in OUR hospital in a language that we can understand. There is no cookie cutter feel but rather a personalized approach to what is best in our growing practice. I would be happy to discuss more details or questions that you might have if you want to email or call anytime. I love talking about this group because I know much of their business comes from recommendation. With no upfront costs, a call center quality VOIP phone system custom tailored to your facility, and a low monthly cost, our Telephony Program is hard to beat. 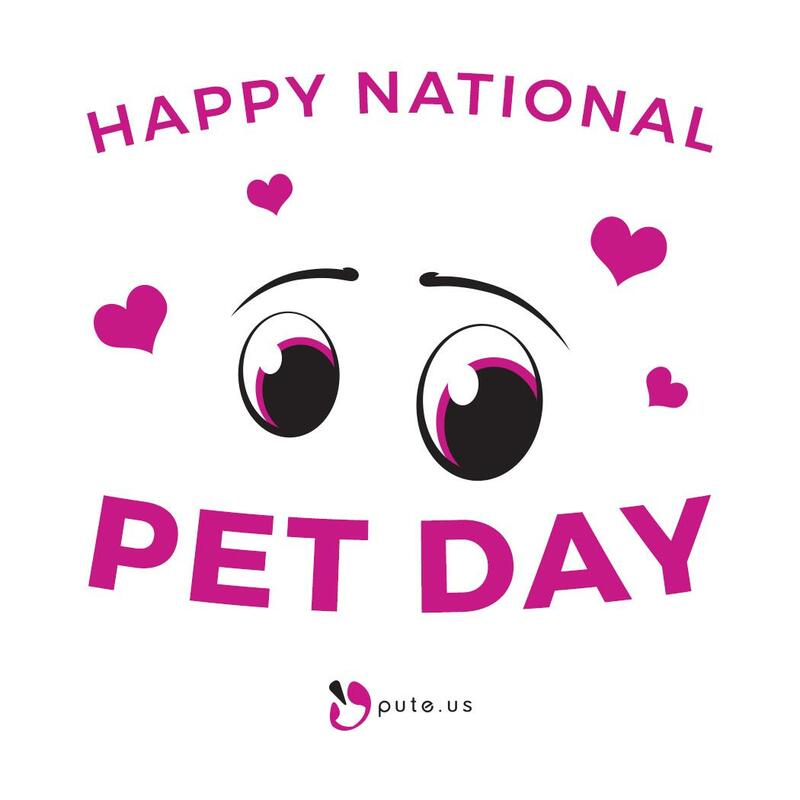 Best week ever- today is #NationalPetDay! 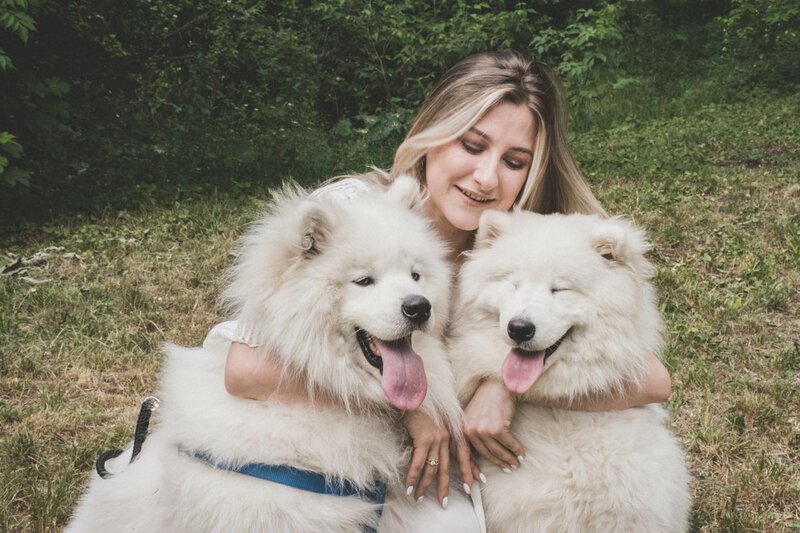 What would we do without our furry family members?